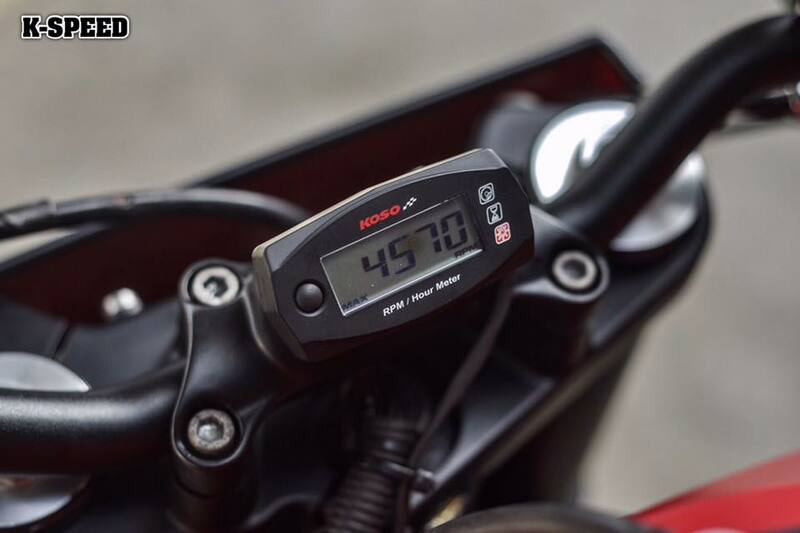 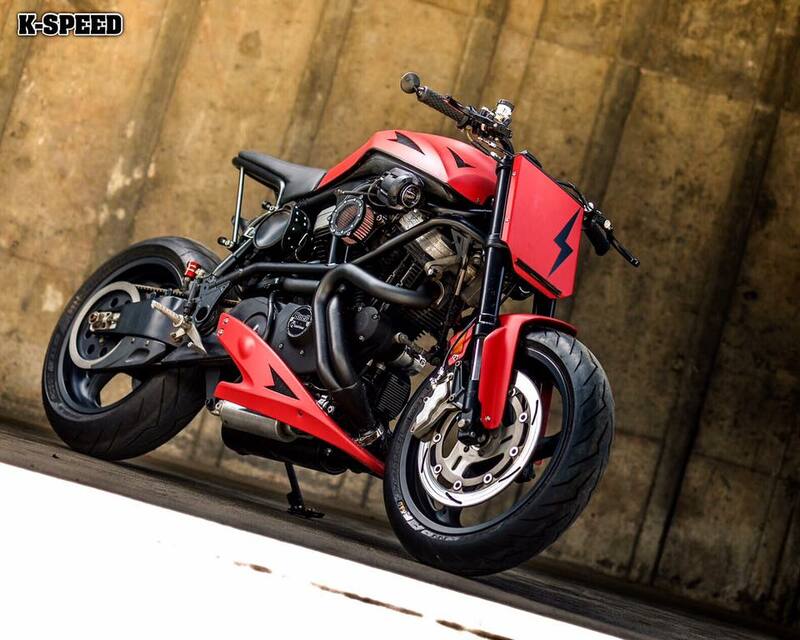 Buell is a true outlaw in the motorcycle world. 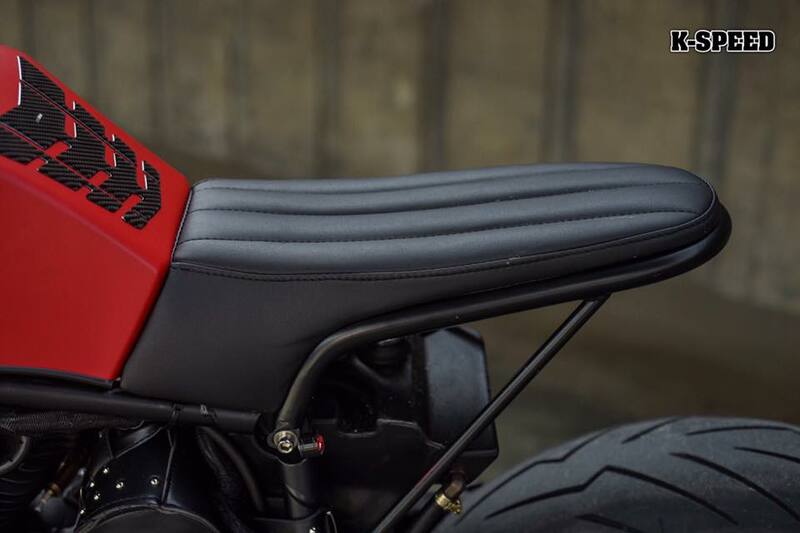 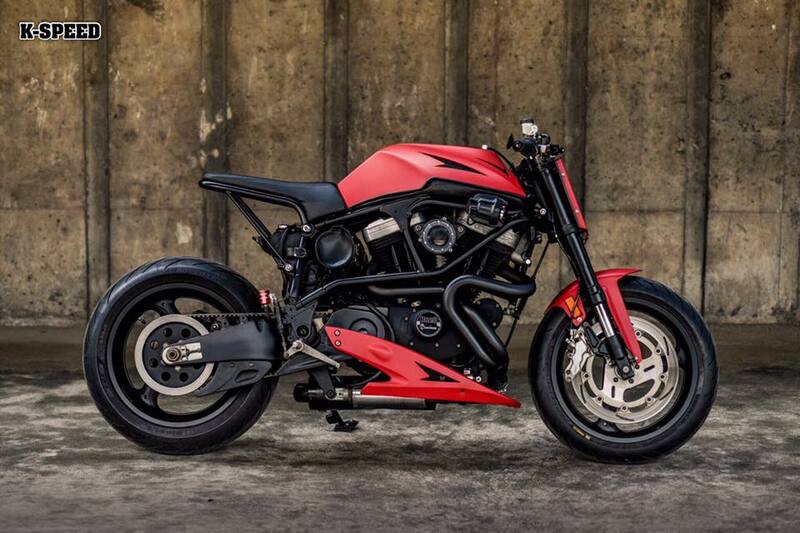 In fact, a Buell is a custom bike from its own. 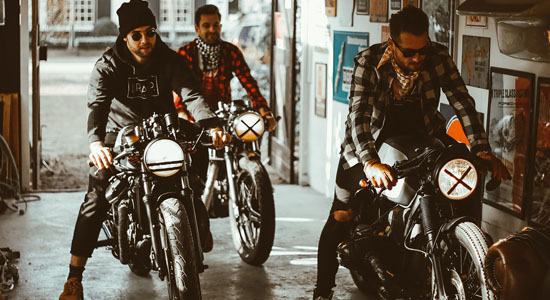 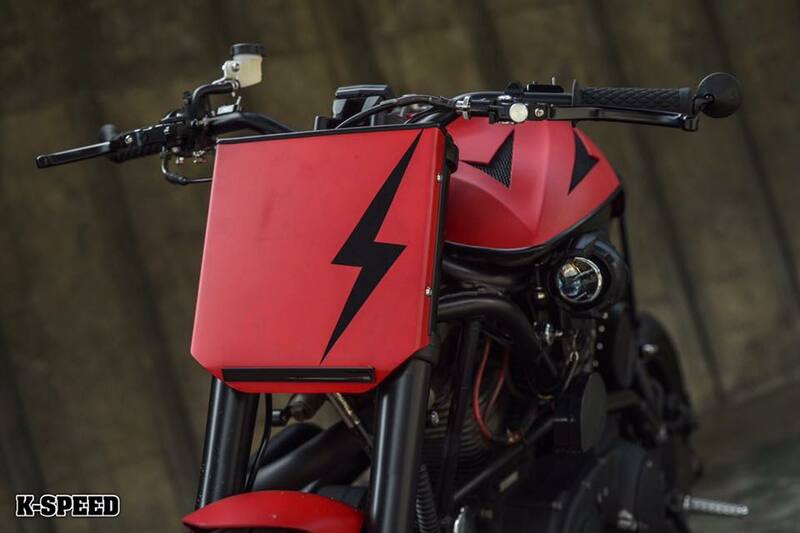 As a former Harley-Davidson employee, Erik Buell decided to start his own motorcycle brand back in 1983, based on H-D engines, but with a more sporty twist. 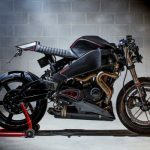 Over the years, Buell developed a small range of production motorcycles, but in 2009 Erik pulled the plug and stopped producing motorcycles. 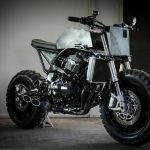 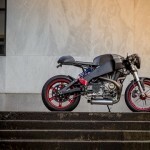 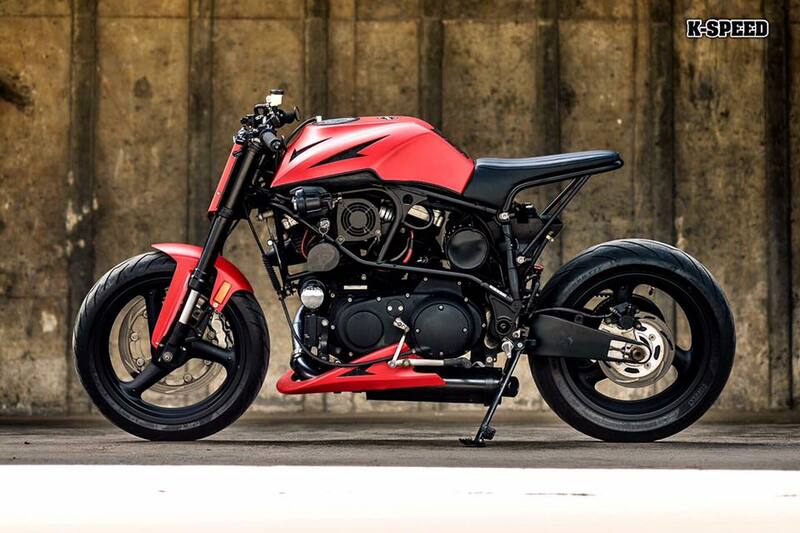 So the Buell is pretty rare, let alone as a base bike for custom projects. 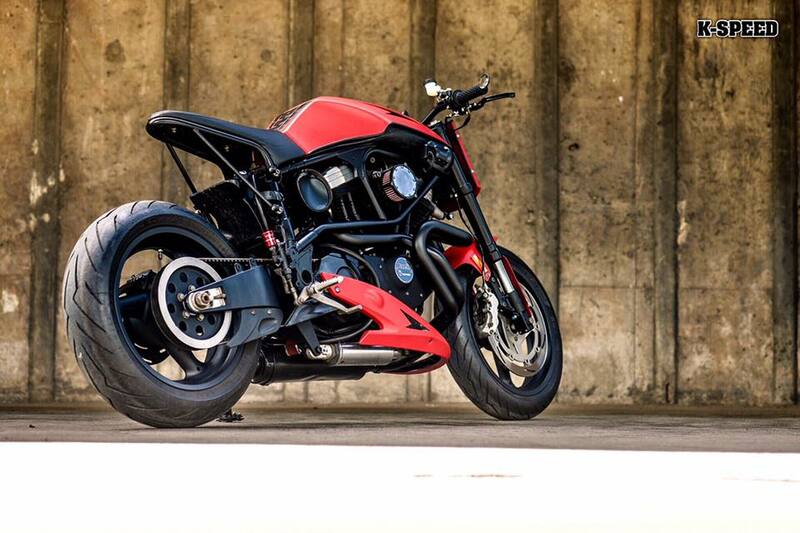 Still, I’ve featured some cool Buell’s already. 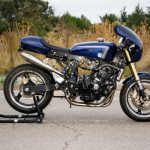 Remember the aggressive XB12 SCM R? 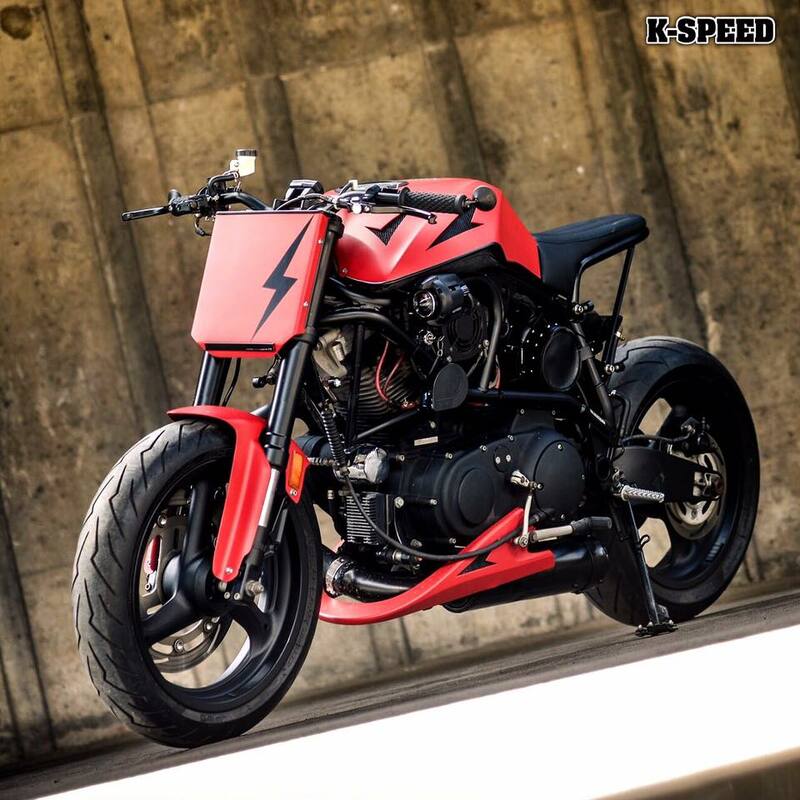 And this awesome XB9 Cafe Racer? 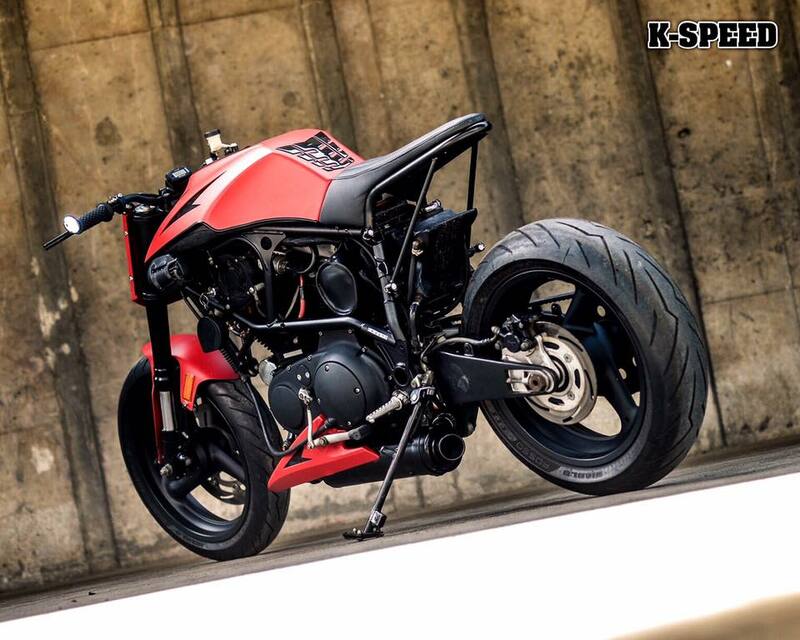 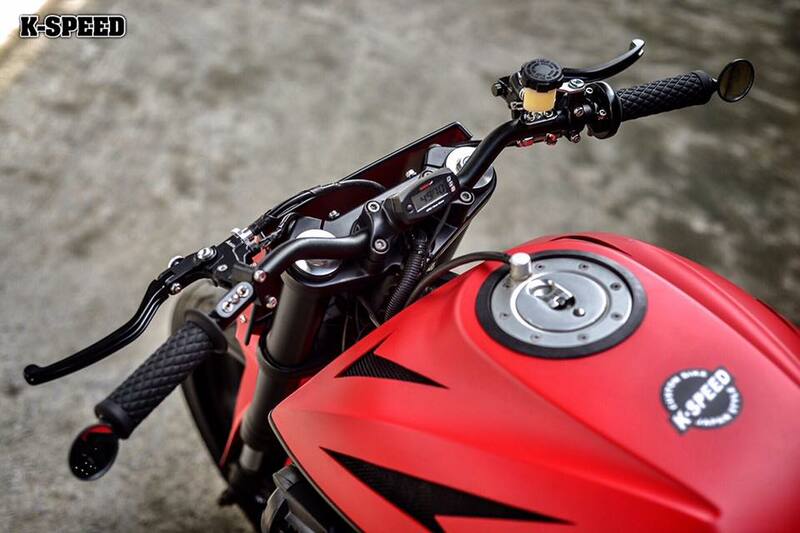 Or the XB12R Café Racer? 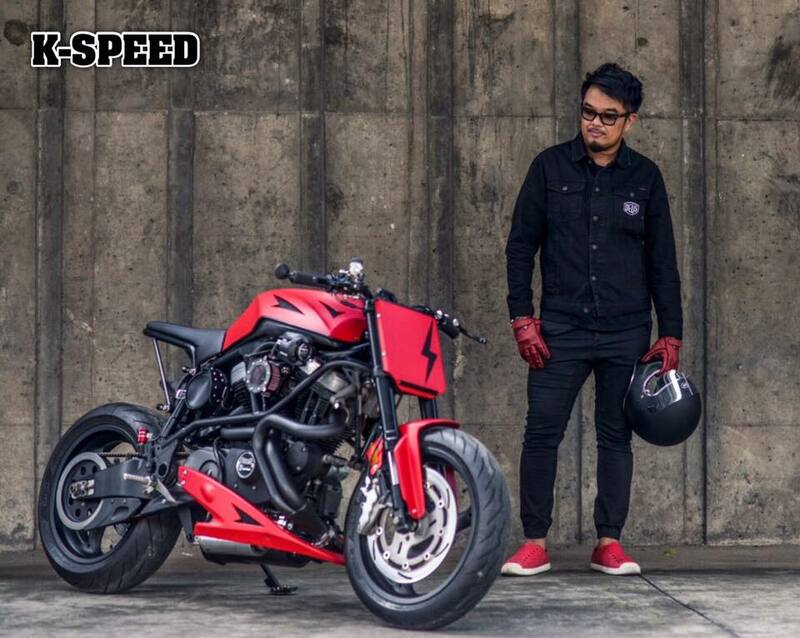 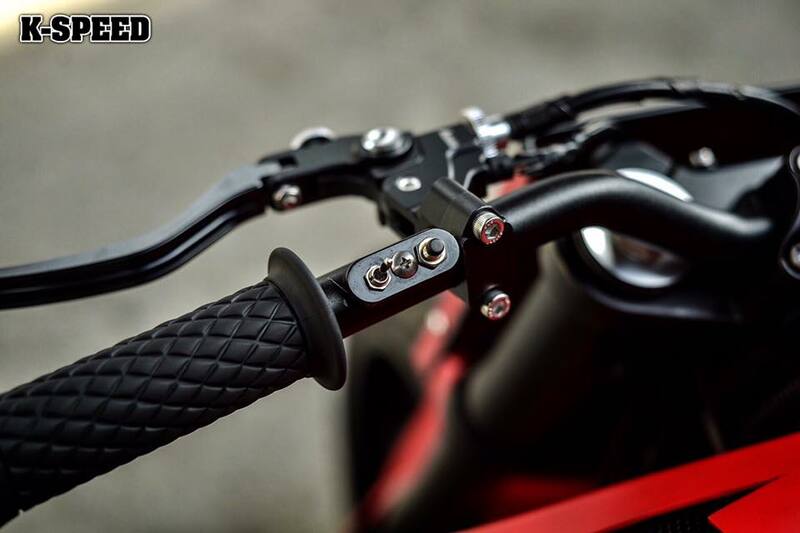 The bike right here is from the rockstar builders at K-Speed from Thailand. 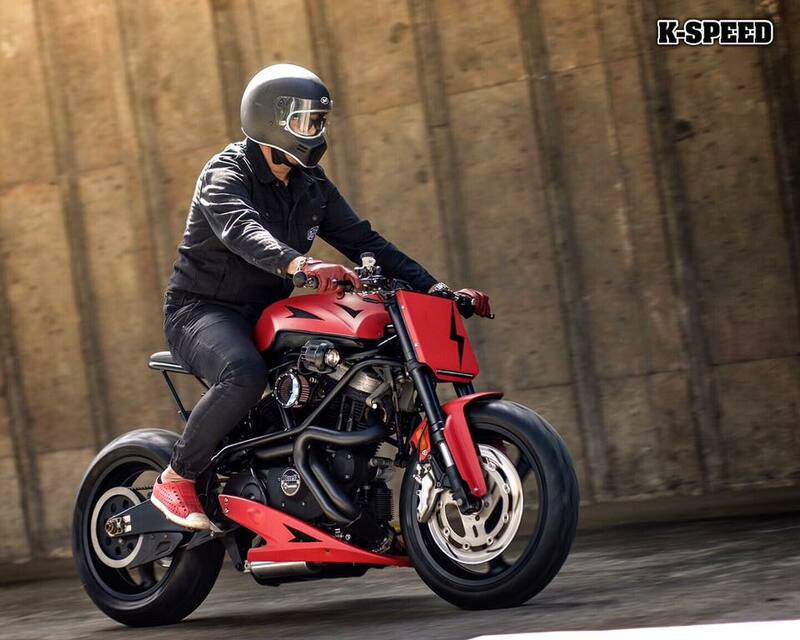 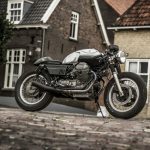 Owner Eak is known for his keen eye on design and delivered some real high-end builds the past couple of years. 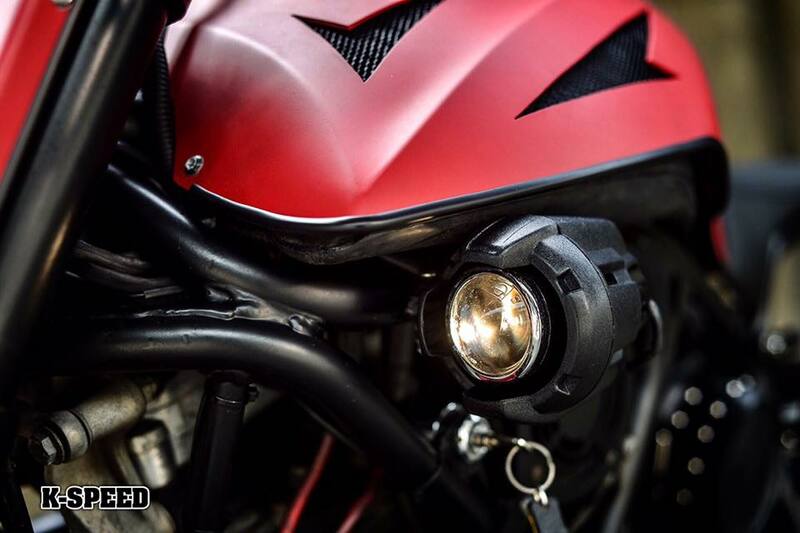 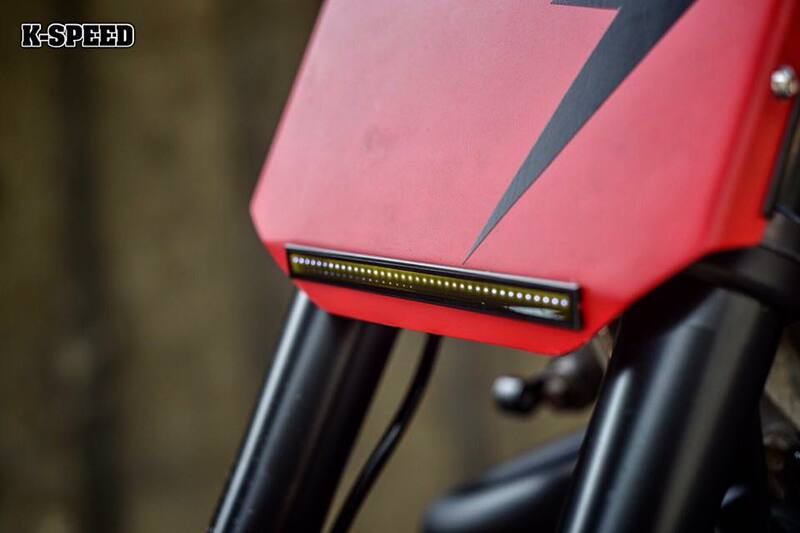 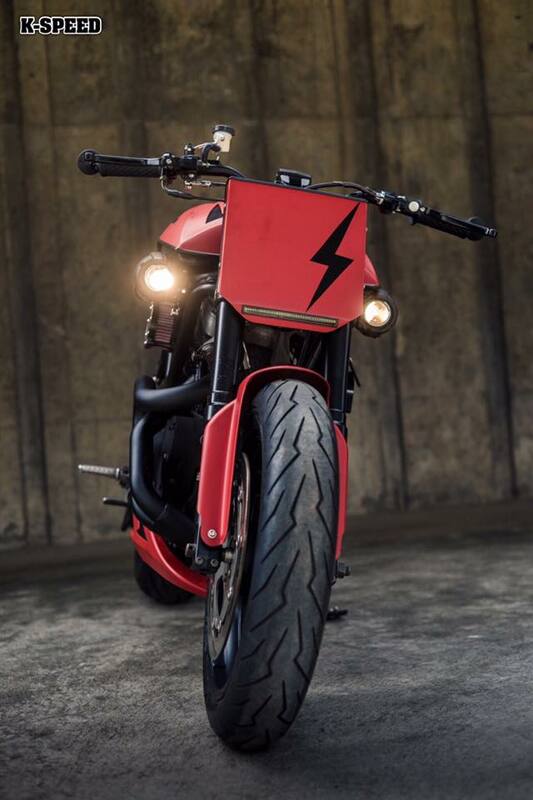 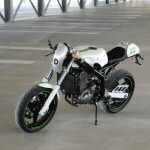 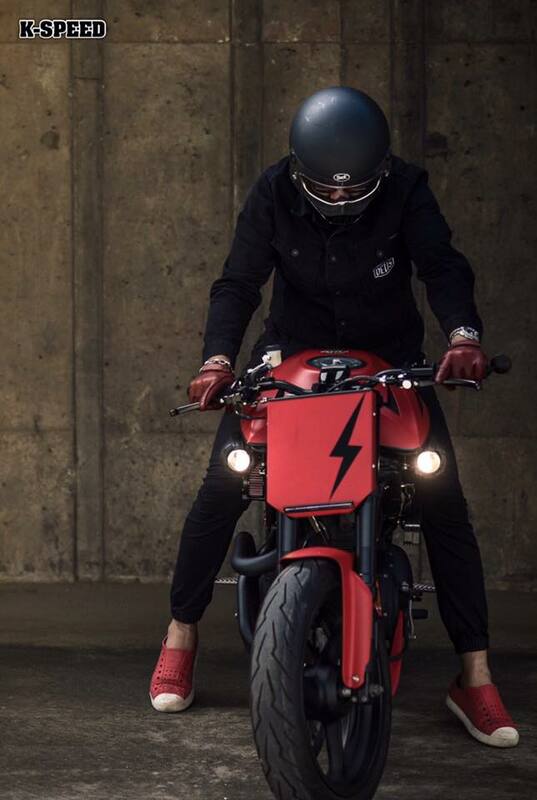 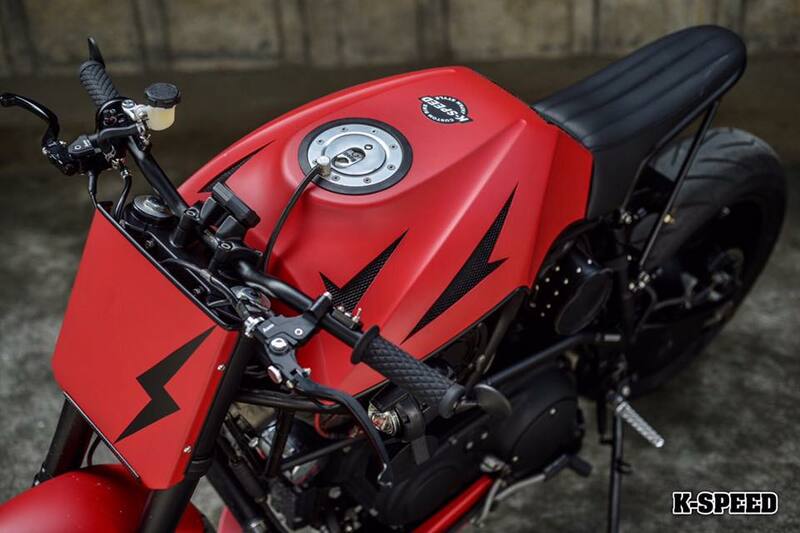 His latest creation is called “Road Lightning” and is based on a Buell X1 Lightning.